ERPGenie.COM: SAP Process Observer - What is it and how does it relate to other similar tools like SAP EM? 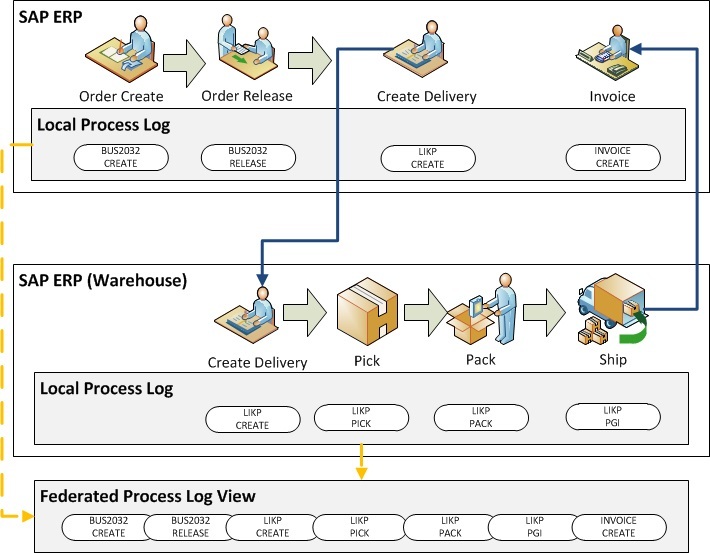 SAP Process Observer - What is it and how does it relate to other similar tools like SAP EM? Process Observer is a component of SAP’s Business Suite foundation layer. 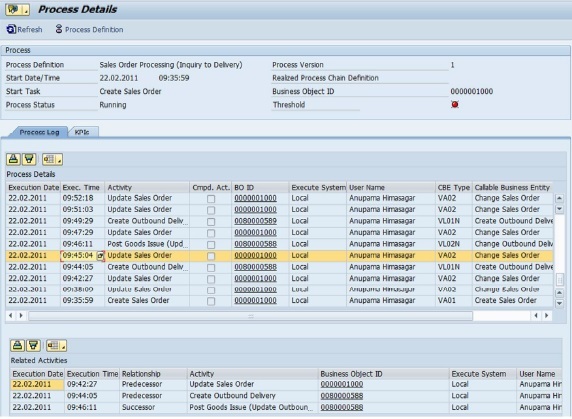 Broadly speaking it can be used to monitor SAP Business Suite processes like OTC (Order to cash) and PTP (Procure to pay). If we delve a little in to how Process Observer achieves this we will get more familiar with how it can be applied and where it is useful. So how do we go about putting this all together in the system? SAP Process Observer is available in the ABAP stack of Business Suite 7i2010. It’s free as part of the SAP Business Suite license!!! in Process Observer, you can connect any system with ease, e.g. external warehouse management systems, SAP NetWeaver BPM, email systems, etc. How does it compare to SAP Event Management? The Application Interface (AI) used to extract data from the SAP Business Suite is pre-delivered with content to extract the relevant data. 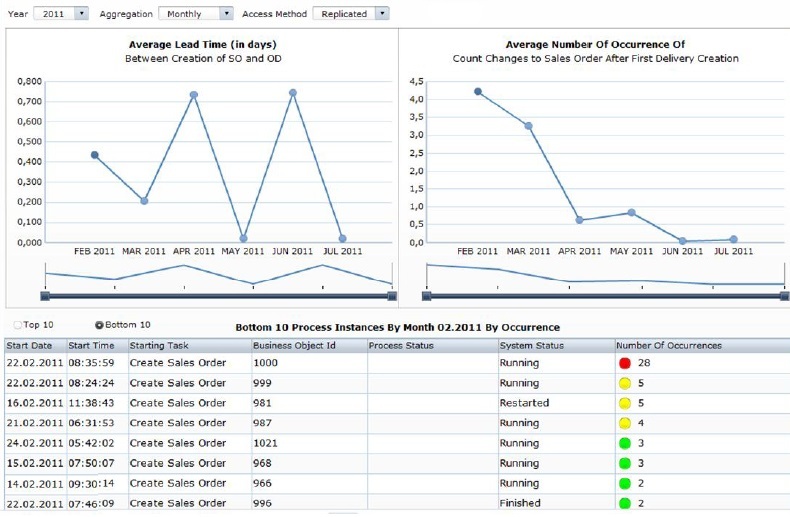 Process Observer – a new SAP approach to analyze Business Suite processes! 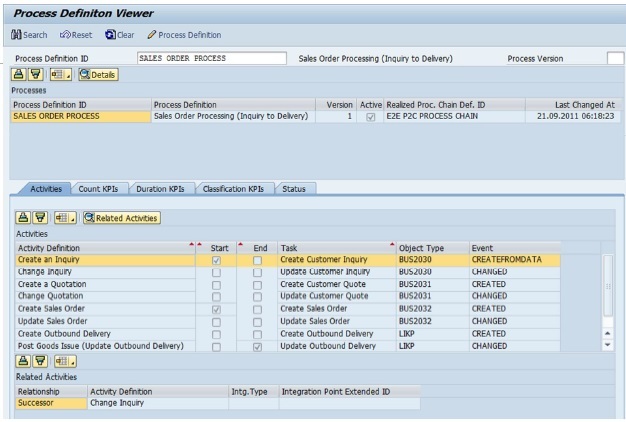 Create Process Definition for Process Observer for Built-In (POB).